« Artist talk & potluck this Friday at Mudflat. Angela Cunningham: Closer & Closer Exhibition. 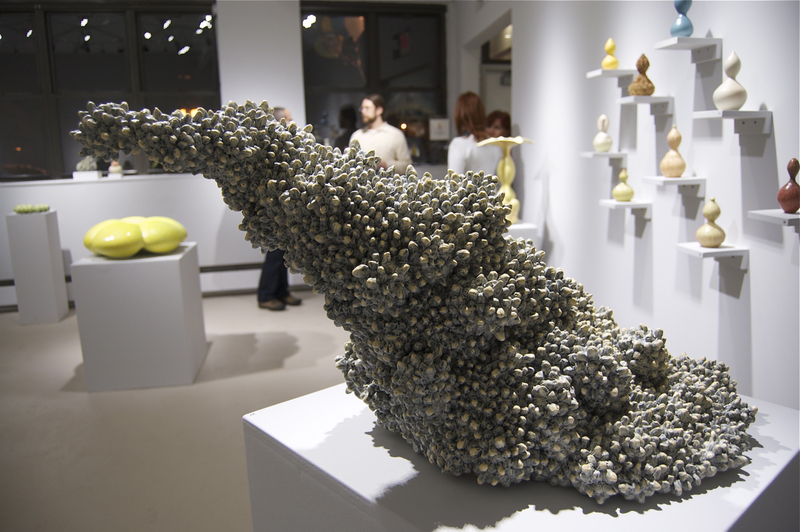 Angela Cunningham’s new exhibition, “Closer & Closer” opened at the Clay Art Center last night in Port Chester, NY. It was the second show in the newly renovated space. Leigh Taylor Mickelson and the other folks at the Clay Art Center did a wonderful job of producing the show. The opening was well-attended despite the weather. Lots of Mudflat Studio Artists and Students drove down from Boston to see the new work and celebrate our friend’s accomplishment. Congratulations, Angie! This entry was posted on January 9, 2011 at 8:38 pm and is filed under Uncategorized. You can follow any responses to this entry through the RSS 2.0 feed. You can leave a response, or trackback from your own site.